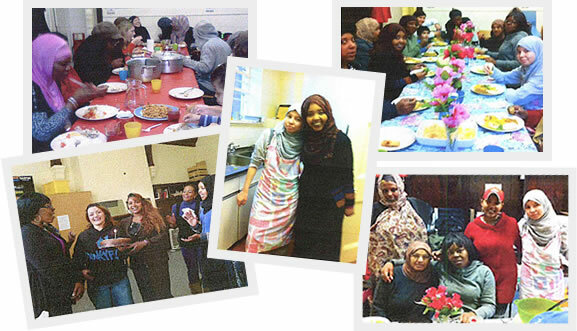 In 2012 the Cicely Northcote Trust provided funding for Springfield's Refugee and Asylum Seeker Support Project. The funding was used to support several initiatives, including a Cooking Club to support isolated and marginalised women in the community, and a Skills Exchange Network to provide specialist advice regarding employment, volunteering, training and further education. Both the Skills Exchange Project and the Cooking Club have been highly successful in facilitating integration, expanding social networks, developing practical/language skills and creating pathways to further education, training end employment.